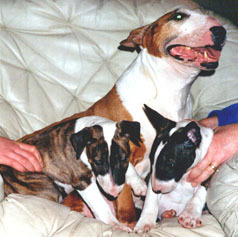 It is was a very sad day in April 2001 when we lost a precious friend and companion. Betty (Ramen Rebekka at Credetta) lost her battle after a brief illness. She died at home with her family around her aged almost 12 yrs old. 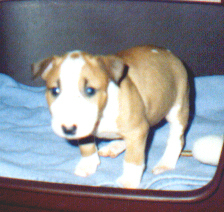 Betty came to us as a 6 week old puppy, a companion for our other puppy Barney. 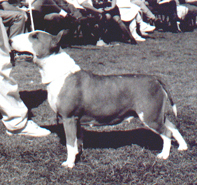 She was a very promising youngster who was successful in the show ring and later went on to produce excellent puppies. From these have come generations to be proud of. Prior to her death she became a great, great grandmother and even in retirement played an active part helping us to bring up and train the new arrivals (although she sometimes looked at us with dread as if to say `oh no! not another one'). 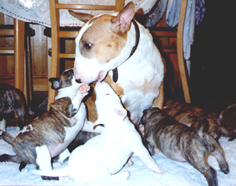 But in her heart she enjoyed every pup as much as we did and loved to be involved. She was a very special member of our family. She was, and always will be, a loved and cherished member of our family. 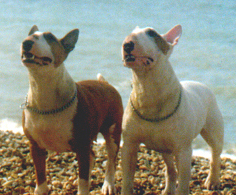 During her very short 12 years, she made a tremendous contribution to the breed and in particular to our kennel. Her memory lives on in her descendents, she could never be replaced and will never be forgotten.